What did our Pristine Seas team find in Palau? The beautiful Pacific nation of Palau is an archipelago of about 300 coral and volcanic islands, most of them uninhabited. What is Palau’s “eco-pledge”? Read through this Q&A from the president of Palau for some help. Palauans have also taken the pledge—from the president, the first pledgee, to traditional chiefs and residents. You, too can sign the pledge. Sign here! What are some examples of activities addressed by the Palau Pledge? Watch the video and take a look at the website for some help. collect marine life souvenirs, such as shells or corals. drag plastic swim fins over corals when swimming. chase or pursue wildlife in order to take selfies with them. support local businesses and communities. 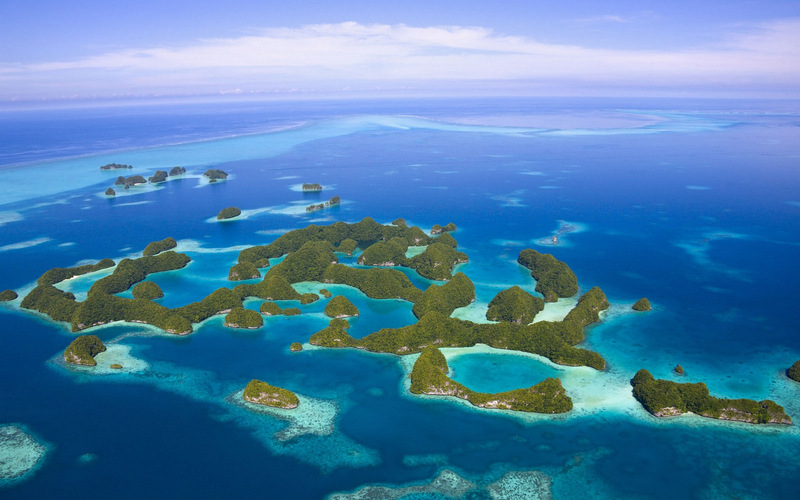 Why is Palau pursuing this conservation strategy? conservation. “Conservation is at the heart of our culture,” says Palauan President Tommy Remengesau. Children from all over Palau participated in the drafting of the pledge, and the pledge itself is directed at them—the future. In 2015, Palau passed legislation to protect 80% of the country’s waters—the largest percentage of protected marine territory of any nation in the world. Learn more about Palau’s commitment to conservation with our Pristine Seas expedition here. economy. Conservation protects the Palauan economy in two ways. Tourism is the primary economic industry in Palau. (The island nation of about 20,000 residents welcomed almost 150,000 tourists in 2016.) Tourism in Palau relies on the environment—biodiverse reefs, lagoons, and tropical island forests—but the increased human footprint has put a strain on Palau’s infrastructure and environment. Reducing human impact on the environment will ensure the lure of the tropical island for generations to come. Subsistence fishing is a traditional economic activity in Palau. Overfishing and other extractive activities (such as collecting shells, corals, and seagrass) have reduced Palauan fisheries. Conservationists hope the eco-pledge will allow local fisheries to recover. How is Palau enforcing the “eco-pledge”? Existing environmental laws include fines for not adhering to fishing quotas, littering, collecting shells and other marine life, feeding wild animals, chasing or otherwise harassing wild animals, and collecting flowers and fruit. Office of the President, Republic of Palau: What is the Palau Pledge? Previous Previous post: Do You Know These ‘Forbidden’ Words?